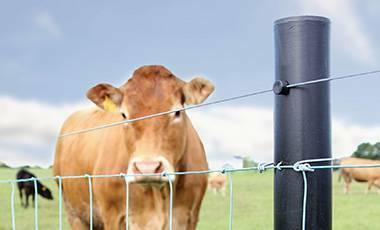 JFC’s innovative polyethylene fence posts are extremely robust and durable with a life expectancy in excess of 30 years. JFC’s innovative polyethylene fence posts are extremely robust and durable with a life expectancy in excess of 30 years. Both solid and hollow posts are available to suit any fencing application.